The NY Nanum Foundation thanks the 400 guests who attended the 12th Annual “I love Nanum Gala” and helped to raise more than $270,000 for the NY NanumFoundation! The funds raised will allow us to support community-based organizations that assist low-income Asian Americans to move toward self-sufficiency. Our Keynote Speaker, Ae-ra Shin, encouraged us to recognize the impact and strength that Nanum (“sharing and giving”) can have in our community. Individual giving may seem insignificant, but when we give together, we can truly make a meaningful difference in our communities. In addition, musical performances by Christine Jo and Seung Joo Ryu created a happy and lively atmosphere at the I LOVE Nanum Gala. One attendee shared his thoughts saying, “While living our busy lives, we often overlook that small giving can grow into big happiness. As we continue to live, sharing and giving should become a daily habit.” The gala served as a night for reflection and understanding of the power of Nanum. 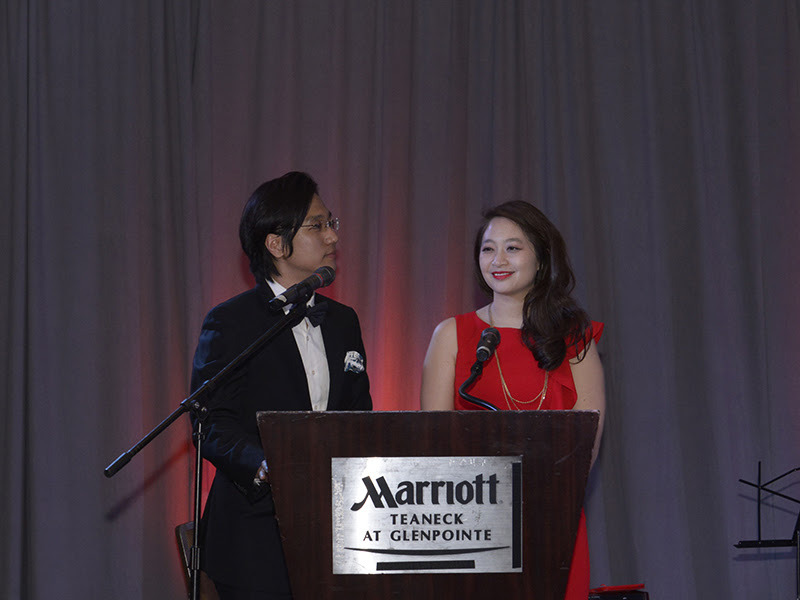 With 300+ attendees, NY Nanum Foundation was able to raise over $230,000 at our 10th annual gala. A big thank you to all of our donors and to support NY Nanum Foundation’s mission to bring about real and fundamental changes through the support of community service programs that meet the most critical needs in and beyond our local neighborhoods. This year’s gala was phenomenal with 450 + of our guests and a powerful speech delivered by our keynote speaker In-Pyo Cha (배우 차인표) along with Ricky Kim (배우 리키김)’s input. In-Pyo Cha is a famous actor in South Korea who made his debut in 1993. He was awarded for a number of TV dramas and movies, including SBS Drama Producer’s Award for “Daemul” and MBC Drama Grand Prize for “Her House.” He is also known as an active contributor at Compassion Korea (한국 컴패션). He is involved in the Compassion Band Korea, which is an international child custody volunteer group with individual talents and passion that organizes concerts for the purpose of spreading the spirit of sharing in the community. Mr. Cha has also taken important actions in fighting against the injustices faced by North Korean defectors. He had donated funds to be used towards child care and orphan facilities for North Korean refugees residing in South Korea. When the Haiti Earthquake occurred in 2010, he was the first one to respond to the catastrophe by donating $100,000 to the children and families suffering from poverty and diseases. In addition, Mr. Cha and his wife, Ae-Ra Shin, have been consistently sponsoring 49 children overseas for over ten years. Moreover, the couple is well known for encouraging adoption. They adopted two beautiful girls in 2005 and 2007 each and their courageous, sincere heart impressed and touched many people. As a result of these outstanding contributions and efforts, Mr. Cha received the “Sejong Cultural” award in the International Cooperation Voluntary Sector in 2013 and he was awarded the Ministry of Health and Welfare Award for Nanum (Sharing) in 2011. Young Kil Kim is the Chairman of Bethel Industries Inc. and the founder of CSK Charity Foundation. Through his foundation work, he has been funding many public schools in low income areas and also Korean scholarship institutions. In 2009, Mr. Kim partnered with SeJong Education Institute to provide scholarships for students and teachers at Democracy Prep Charter School, located in Harlem, New York. He also provided financial support for organizing Korea Day and Korean traditional instrument classes. Mr. Kim played a significant role in the recent construction of the Korean Community Center in Tenafly, New Jersey, and has been contributing to raise the quality of life of Korean people in the area. Mr. Kim’s generous act of service and giving has been a great example in the Korean American community. Through his charitable work in more than 20 service organizations, Mr. Kim has been working towards laying a foundational stepping stone to increase second generation Korean Americans’ public engagement in today’s American society. Among his many commitments, Mr. Kim strives to continuously improve the Korean community through his work at New Millennium as Board Chair, K-Radio 1660 as President, and Bethel Industries Inc. as Chairman. In 1979, America Wheat Mission (뉴저지 밀알 선교단) was established in order to educate the community and the society of current issues for people with special needs. In October of 1994, the America Wheat Mission in the United States and the Wheat Mission branch in Korea collaborated with a vision to make a difference in Korean-American communities. Currently, the main headquarters are established in over 22 countries, 70 stations world-wide including the United States, Canada, Australia, New Zealand, Germany, Netherlands, England, and Russia. The current president of the Wheat Mission in New Jersey is Rev. Won Ho Kang who was appointed on January 1, 2000. Currently, total of 140 volunteers and 150 contributors are involved in our local branch in New Jersey, including 110 members with special needs. Milal is a sign of hope to the wider world of the essential values of the heart through serving people with special needs and restoring basic human rights, justice, and equality. Our organization is to outreach to Korean American community of those with disabilities through evangelism, to serve those with disabilities to improve their difficult living condition (service), to improve awareness on issues of those with disabilities (enlightenment). The NY Nanum Foundation USA’s “I Love NANUM” Gala is our biggest fundraising event of the year, which supports the aforementioned programs and grants that serve the underprivileged in our community. On May 1st 2014, in front of 450+ of our attendees, our Gala Keynote Sean Ro inspired us to see the impact and strength of collective Nanum (Sharing and Giving) in our community. Individual giving may seem insignificant, but when we give together, we can truly make a meaningful difference. Sean’s own campaign initiative in Korea, the $10 campaign (10,000 won) is an active testament to the power of collective giving, and that giving does not have to be a tremendous financial burden. Sean Ro (본명: 노승환), member of popular South Korean hip hop duo-group Jinusean (지누션) of YG Entertainment, has more recently been recognized for his exemplary philanthropic giving in Korea, earning him the title of ‘Angel Donor (기부천사)’. Voted as No. 1 ‘Donor/Giving Role Model’ in a nationwide survey, Sean serves as co-president of the Seungil Hope Foundation, helping children and other individuals recover from physical illness, and is an honorary ambassador for the Holt Children’s Services (홀트아동복지회) where he and his wife Hae Young Jung have donated annually since 2009 to provide much-needed scholarships to children of low-income families. Among his many accolades, Sean received the ‘Chobulsang’ (Candlelight Award) from the K-pop Culture Monitors, the Beautiful Sharing Award, Grand Prize from the Korea Promise Foundation, and most recently, the Presidential Citation. Sean was chosen as one of Korea’s “top 100 people who light up the world”. Nanum is a Beautiful Habit! Your $10 per month donation to the NY Nanum Foundation will enable us to improve the lives of our most vulnerable members, including seniors, women, at-risk youth, immigrants and individuals with disabilities, right here in the greater New York and New Jersey area. We encourage you to be a part of the Nanum community, and give today. Together we can make a difference! The NY Nanum FoundationA held its 7th Annual Gala on May 30, 2013 at Pearl River Hilton, NY. As the word “NANUM (“Sharing & Giving”) signifies, our Annual Gala showcases the NY Nanum Foundation’s ongoing commitment to spreading the spirit of NANUM to support vital programs that address the critical needs of the most vulnerable and underserved in our communities. Mr. Youngsuk (YS) Chi is a leader in the media-tech industry and Chairman of Elsevier, a world leading publishing company, where he works directly with governments, Elsevier customers and in industry associations worldwide. In his primary role as head of Corporate Affairs and Asia Strategy for Reed Elsevier, Mr. Chi is responsible for government affairs, corporate communications, corporate responsibility, and Asia strategy for Elsevier’s parent company. Prior to joining Elsevier in 2005, Mr. Chi served as Chairman of Random House Asia and President of Random House, and held several President and CEO positions at Ingram Distribution Holding, the parent company of Ingram Book Group. Mr. Chi has served on numerous charitable, educational and industry boards, including Princeton University, and as a founding member of the Korean American Community Foundation. Mr. Chi also serves as President of the International Publishers Association, a global organization that represents the interests of more than 50 publishing industry association members from around the world. The NY Nanum Foundation USA is proud to present our “Beyond Charity” Corporate Award to Shinhan Bank America for their exemplary commitment to volunteerism and corporate philanthropy. 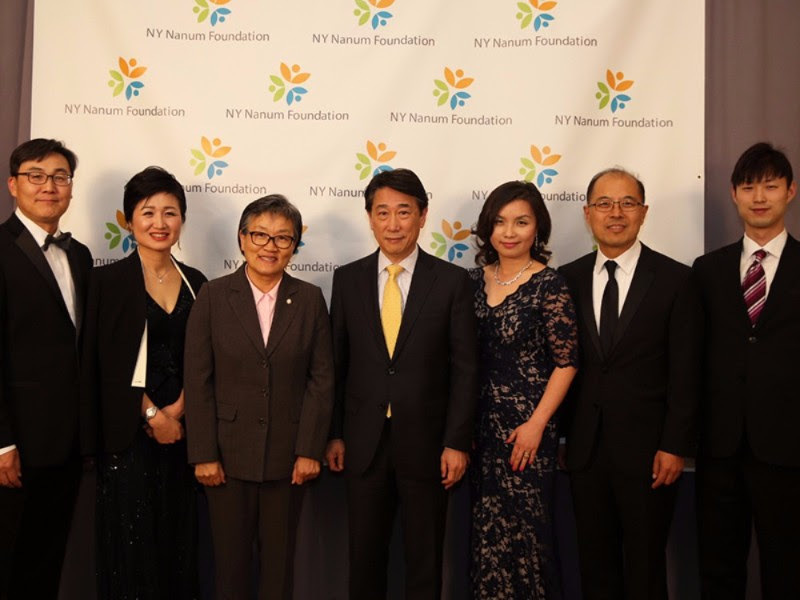 In particular, we would like to acknowledge Shinhan’s active partnership with the NY Nanum FoundationA over the years to establish the Beautiful Shinhan Award, and for their dedicated and active volunteerism during our Beautiful Nanum Market events. We also thank Shinhan Bank America for creating the Beautiful Shinhan Fund under the NY Nanum FoundationA’s newly established Giving Tree Fund, to be used to support youth education and leadership efforts in the community. The NY Nanum Foundation USA is pleased to award EnoB with the “Toward Change” Leadership Award in recognition of its outstanding and meaningful contributions made toward realizing change in our community. Since its establishment in 2006, EnoB has actively provided a number of innovative community programs including “Let’s Play with Music & Art”, a series of multimedia events for children and youth with special needs and their friends and family residing in the New Jersey and New York City metropolitan area. Over the years, the NY Nanum Foundation USA is proud to support EnoB’s programs for the community. The NY Nanum Foundation USA is proud to feature beautiful and unique artwork pieces provided by Gallery Oms for sale during our silent auction. The 6th Annual Gala was held on May 31, 2012 at Marriott Teaneck at Glenpointe, Teaneck NJ. Keynote speaker, Honorable Jane Kim is the first Korean American Supervisor-elect in the United States, and represents District 6 in the city and County of San Francisco. She is the former President of the San Francisco Board of Education, where she actively advocated for expanded access for immigrant families, more equitable distribution of district resources, and greater administrative accountability. In her grassroots campaign for the Board of Education, Supervisor Kim was the highest citywide vote receiver, becoming the first Korean American elected official for any post in San Francisco history. Ms. Kim is a Stanford graduate, and received her Juris Doctor from University of Berkeley’s Boalt Hall School of Law. She is a civil rights attorney, formerly on staff at Lawyers Committee for Civil Rights of the San Francisco Bay Areas. The NY Nanum FoundationA held its 5th Annual Gala on May 26, 2011 at Marriott Teaneck at Glenpointe, Teaneck NJ. Dr. Matthew D. Lee, the founder and Chairman Emeritus of Allied Technology Group, Inc. (ATG), gave a keynote address. He is an exemplary leader and philanthropist who are truly honored. And Mr. David Khym, Founder and CEO of Wicked Fashions, Inc. (founder of Khym Foundation) and Shinhan Bank America were our two special honorees of the 5th gala. We were also delighted to have with us our very talented Soprano Sua Chin and Baritone Joo Won Kang who performed for us. Keynote speaker, Dr. Matthew Duk Sun Lee imigrated to the United States in 1966, inspired by the American Dream through his work with the US Military’s Far East Exchange Service. He got his start in the technology industry at Control Data Corporation, which was the largest supercomputer manufacturer from the mid 60s and 70s. In 1969, he joined Westat, starting at a low level position and rapidly making his way up to corporate management as Vice President and CIO. Dr. Lee’s life exemplifies the NY Nanum FoundationA’s message of giving. Growing up, he watched his father, a teacher and community leader, dedicate his life to fighting illiteracy in their community. His parents nurtured his spirit of giving as he observed them find happiness through serving the underprivileged in their communities. For over 30 years, Dr. Lee has been very active in philanthropy, serving in leadership roles and providing financial support to numerous charitable, social, civic, cultural, educational and religious organizations. His sincere commitment to philanthropy has also been featured in the book “Good Rich” by Dr. Song S.W. 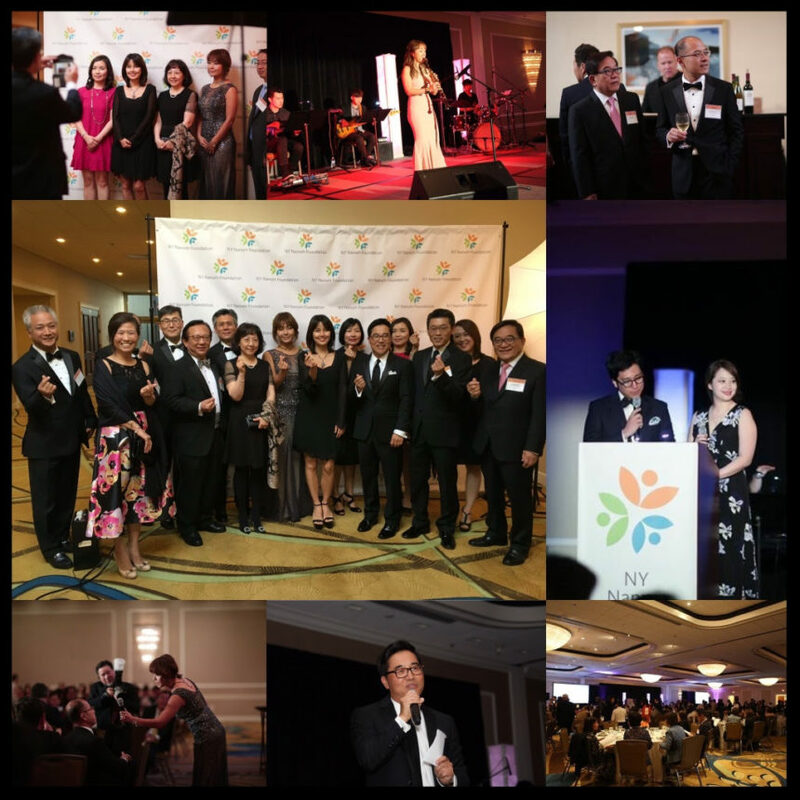 Once again, the NY Nanum Foundation USA(NY Nanum FoundationA) would like to thank all the friends and supporters of the NY Nanum Foundation for making the 4th Annual Gala such a success. FoundationA held its 4th Annual Gala on May 7, 2010 at the DoubleTree Hotel in Fort Lee, NJ where a record number of over 520 individuals gathered together to recognize and celebrate the accomplishments of the NY Nanum FoundationA, and raised more than $210K. The evening was emceed by Sandor Hau, Managing Director in the Goldman Sachs Principal Strategies (GSPS) Group, and Minjung Suh, a prominent Korean actress who is highly invested in charitable organizations. Founder and CEO of the NY Nanum Foundation, Won Soon Park, joined us all the way from Korea for special remarks. Newly launched, the “Toward Change” Leadership Award recognizes the outstanding and meaningful contributions made toward change in our community. in 1984 to meet the needs and concerns of the Korean American community through Education, Civic Participation, Immigrant Rights, Social Services, and Culture. It has made a profound presence in the Korean American community through various grassroots organizing, education, and advocacy initiatives that address important community issues, including immigration policies at the national, state and city levels, voter rights, and cultural awareness. s as the key-note speaker. Her heartwarming reflections on her humanitarian efforts were truly inspiring. Ms. Han has been hailed as the “Number 1 Korean author people most want to meet” and was selected by the Presidential Commission on Women’s Affairs as the top 5 new intellectuals. In her speech, she compared the law of the jungle to the law of love and grace, and emphasized the importance of the strong helping the weak by broadening the definition of “us” in sharing what we have. With her first-hand experience in Africa where children starve to death because they were born in poor families in poor countries, Ms. Han highlighted the fact that the true beauty is completed by a giving heart that follows the law of love and grace. She also encouraged the audience to enlarge their hearts and use their hands not only for themselves but also for sharing with others. Now that Korea has become a role model for many developing countries, she claimed that we should share more and lead the virtuous cycle of the strong caring for the weak. We sincerely appreciate her passionate speech that inspired us to use our hands to share and give to the people who have less than we do. To close out the night, ten young men from Footnotes, a male a cappella group from Princeton University, gave a rousing performance that left the audience wanting more. Thanks to your generous support and the record turnout this year, and thank you for your faith in NY Nanum FoundationA to be a good steward of your generosity, and hope to continue your support to NY Nanum FoundationA and the Korean-American community in coming years. The NY Nanum Foundation’ 3rd annual gala was huge success. On May 15, 2009, the Foundation had provided the Korean – American Community with an opportunity to re-energize and expand the culture of giving and serving in the community. Especially in light of the downturn and difficult economic recession, over 450 guests attended the event and it tells strongly that we all concern and have dreams to outreach to the community in need. There is still much that needs to be done for the community and many existing projects we must continue to build. We believe that through continued partnership and constant effort, our ability to serve more strategically and more meaningfully is multiplied each year and we are eager to deliver even greater progress next year. Keynote speaker, Mr. Jeffrey Lee has 30 years of banking experience, including 12 years as the chief executive. Currently, Mr. Lee is serving as the CEO of Urwego Opportunity Bank of Rwanda (UOB) from February 1, 2009. UOB is a licensed bank, focusing on microfinance serving the needs of the most vulnerable in Rwanda. In his speech, he emphasized that giving can gain tremendous value and meaning with a clear purpose spelled out in it, leading to substantial change in the lives of people and the society. We really appreciate again for his inspiring life dedicated himself to community development. At the event, the Foundation also announced its Board of Ambassadors (BOA) inauguration. The BOA is born out of a recognition that institutionalizing the involvement of 2nd generation Korean-Americans is a vital part of fulfilling the NY Nanum FoundationA’s mission and safeguarding its future. The BOA is composed of a group of civic-minded young professionals in the NY/NJ metro area who are willing to commit to the vision of the NY Nanum FoundationA and prepared to invest in its continued success. We believe that the BOA offers a unique opportunity for 2nd generation to utilize their skills and talents to influence the community in a meaningful way and are excited to welcome them as partners of the NY Nanum FoundationA. 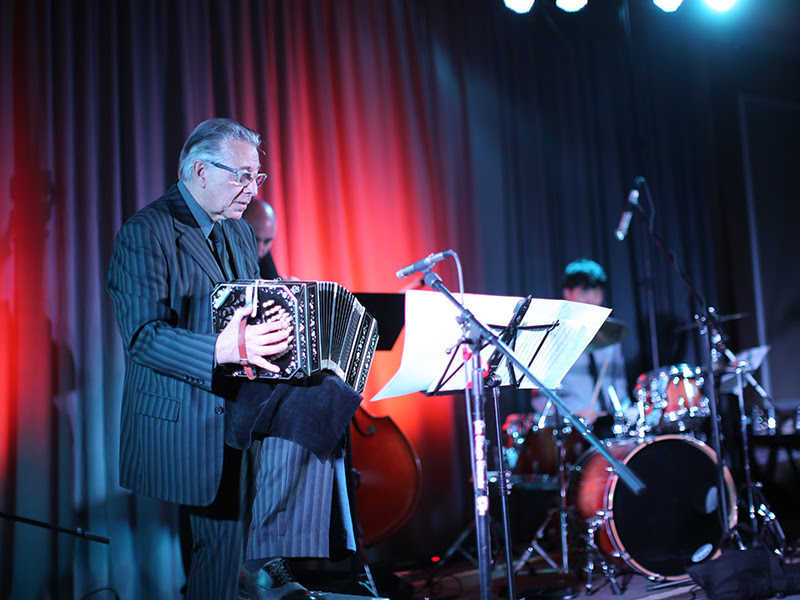 Three generation of families, music and the spirits of giving came together at the Foundation’s second annual gala, at DoubleTree Hotel on May 2, 2008. 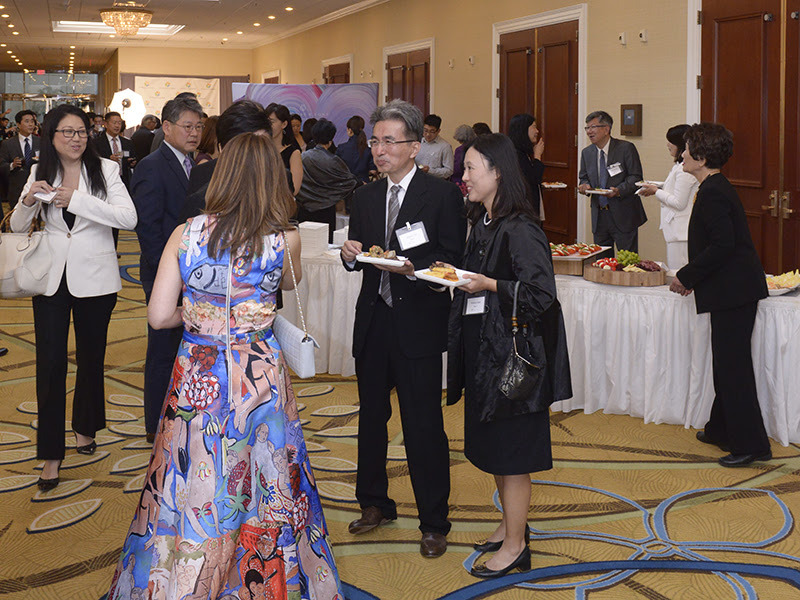 The event themed as I Love Nanum-Generation to Generation raised almost-tripled amount to the first annual gala. The Foundation announced the first ShinHan Beautiful Spirit Awardees that night. The NY Nanum Foundation USA and Shinhan Bank America awarded extraordinary individuals dedicated for serving others in the community. 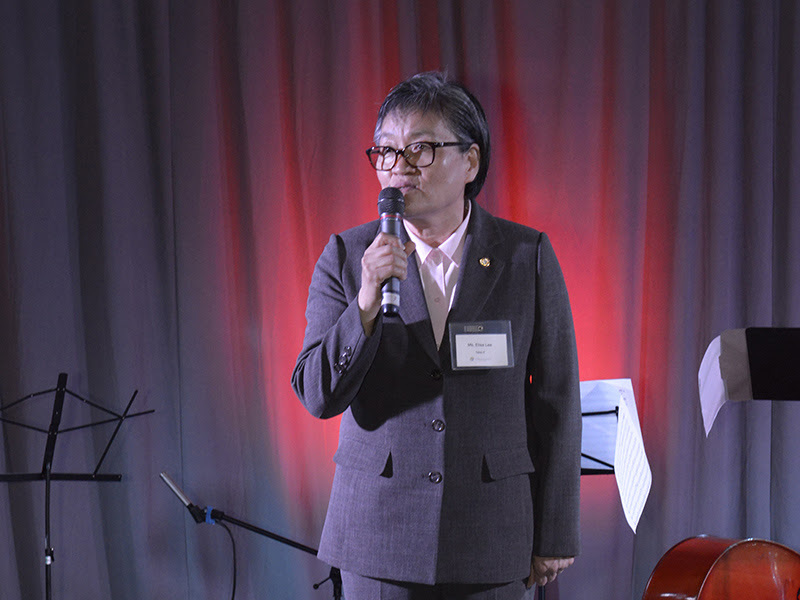 Highlights of the event included key note speech by Dr. Danniel Pyo, a father and son of community-serving three-generation family, and violin ensemble performance by two generational violinists, Christine Kwak and Byung Kook Kwak. Ambassador Kyeung Keun Kim, Magsaysay Laureat and the founder of The NY Nanum Foundation Korea, Mr. Wonsoon Park, and more than 350 invitees enjoyed the festivities. The first Annual Gala was held on January 26, 2007 at the Hilton Hotel, Fort Lee, New Jersey. 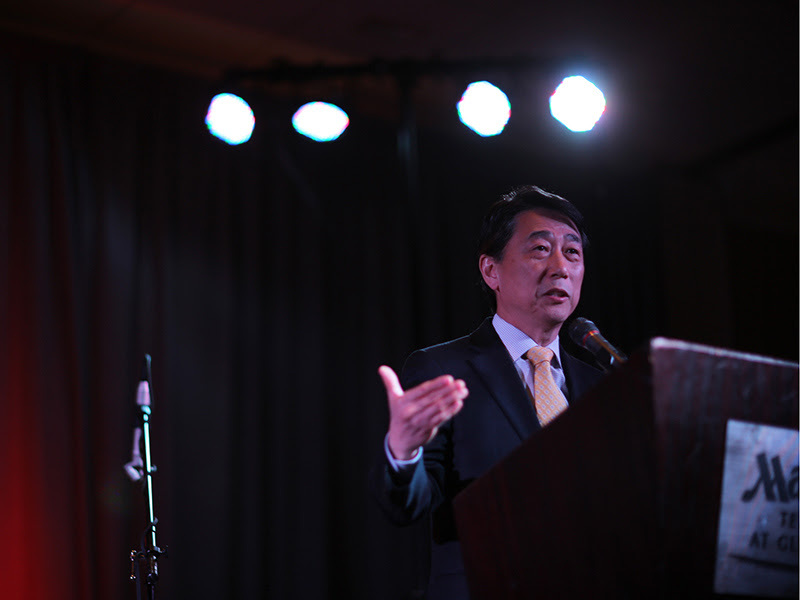 In the event, Mr. Jeong – Chan Park, the chairman of United Methodist Church of New York, delivered his speech with the theme of “Nanum(Giving)”. The Foundation celebrated its one year anniversary with more than 300 guests. Since its establishment in 2006, the NY Nanum Foundation has been pioneering a new philanthropic culture that constantly changes the society in a positive way. Keynote speaker Mr. Park encouraged the NY Nanum FoundationA to form a network of Korean communities worldwide and spread a new culture of giving by Korean-Americans to help those in need as the NY Nanum Foundation Korea has created a new culture of giving and has become a force for social transformation in South Korea.